My Wine of The Month for December 2015 is SAAM Mountain Vineyards Pinotage 2013. I often choose it at Chez Mumtaj which features French-Asian fusion cooking by talented owner-chef Chad Rahman. But no more. 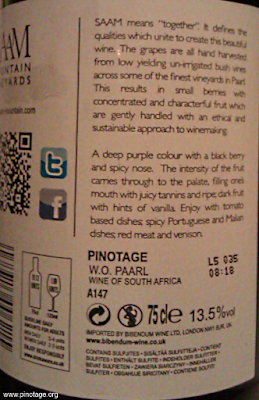 I visited this month with a group of friends and asked for a bottle of the Saam Pinotage before seeing the wine list. 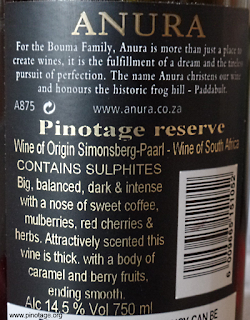 It wasn’t too long before we requested another bottle but the wine menu no longer had Saam. The waiter told us that there were only three more bottles in the cellar. 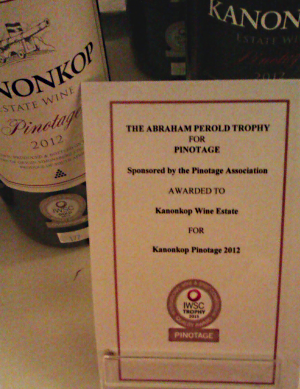 We took that as a challenge and there were none left in the cellar when we departed. 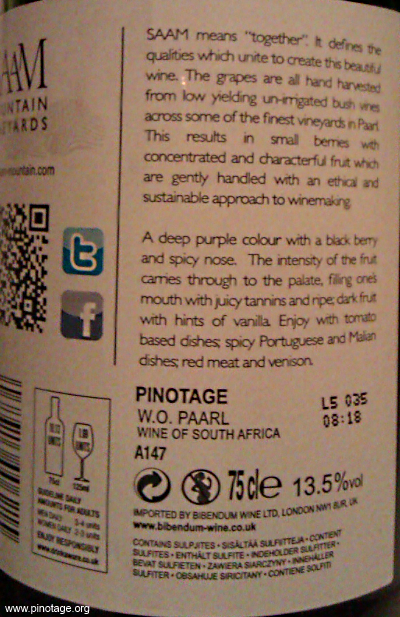 We were told their supplier no longer listed Saam, which surprised me as Bibendum (one the UK's biggest wine companies) is their supplier and Saam was a joint project between Bibendum on the marketing and distribution side, and Perdeberg Winery on the production, as I wrote here. 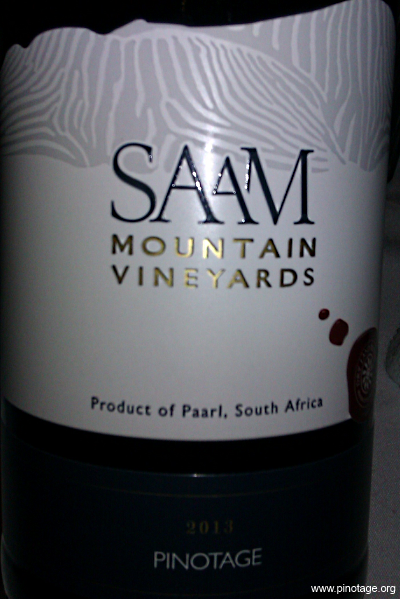 Saam Pinotage was an excellent pairing with Chez Mumtaj’s innovative cuisine. 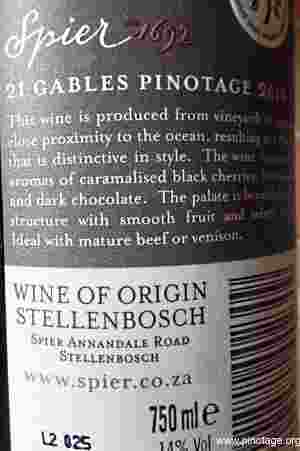 Opaque almost black in the dim restaurant light, with a berry nose and restrained dense blackberry flavours. 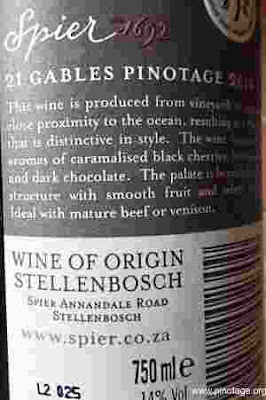 There’s spice and that inherent Pinotage sweetness that goes so well with spicy food, also soft tannins to give body and a good length. 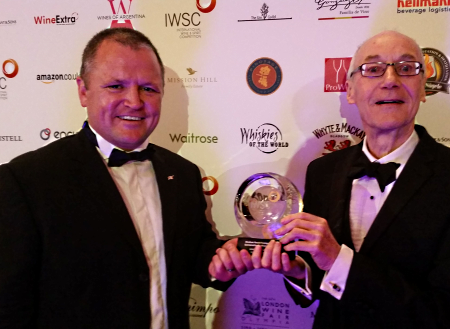 Wine Enthusiast’s tasting team were asked to recommend American wines to have with Thanksgiving. 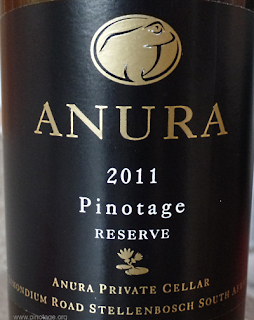 Dave Eckert didn’t take to Pinotage when he first tasted it in the 1980’s. But now he’s found three that impress enough to feature on his Thanksgiving table. 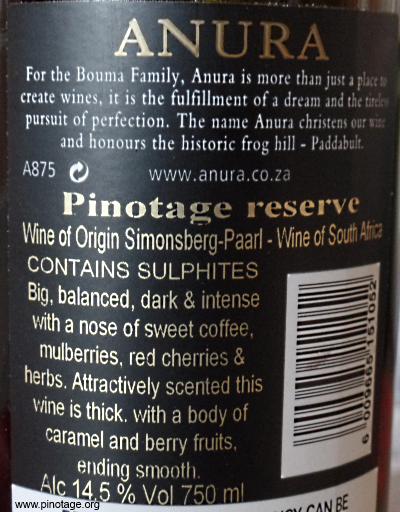 “Now I know why they created Pinotage all those years ago. 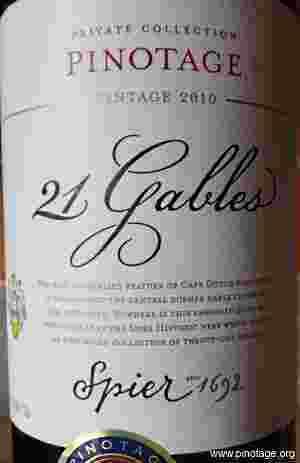 It’s just took me 25 years and three new bottlings to figure it out,” he writes in the Kansas City Star. The three are Kanonkop, Simonsig and Stellar, although the article doesn’t mention their vintages. Dave Eckert is the producer and host of “Culinary Travels With Dave Eckert,” shown on USA's PBS-TV and Wealth TV for 12 seasons.